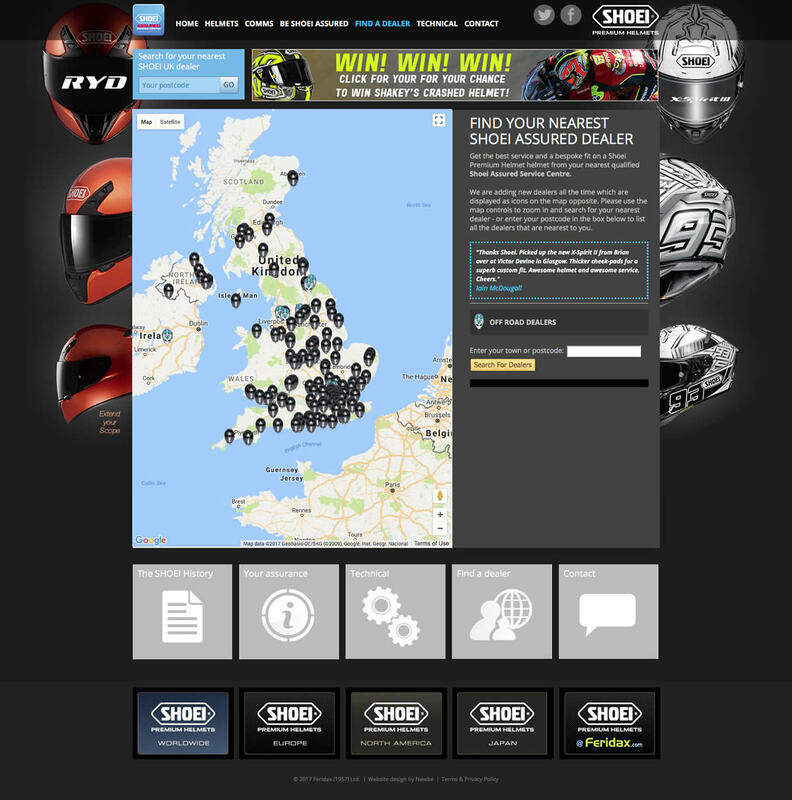 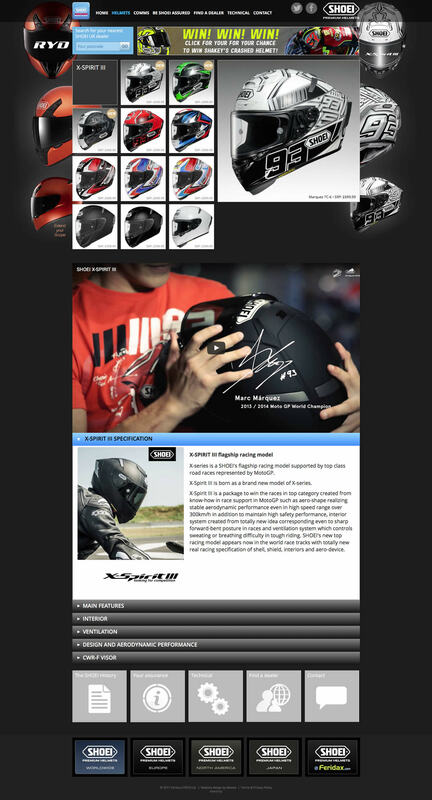 Web design and build for the premium motorcycle helmet brand SHOEI. 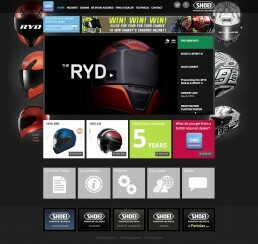 The site included a local dealer search function and a full catalogue of the latest products. 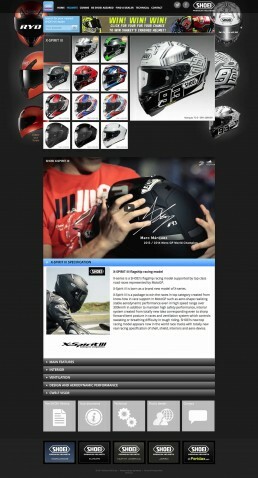 The site featured a scratch-built CMS to enable the client to upload and edit products.